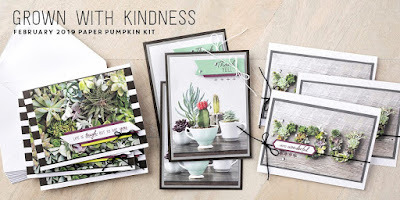 Hello and Welcome to the Feburary 2019 A Paper Pumpkin Thing Blog Hop "Grown with Kindness". I don't know about you but I absolutely adored this Paper Pumpkin Kit! 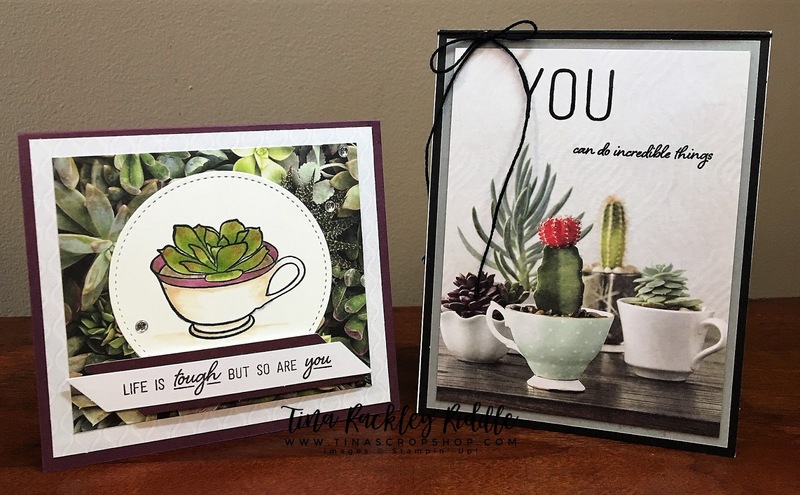 The succulents on the Patterned Paper were gorgeous and those stamps were absolutely awesome! If you haven't already seen this adorable kit, take a look at the graphic below.. It's a thing of beauty!! I adore these cards just as made but I did come up with a couple of options for you. Here's a look at both of my alternate cards.. 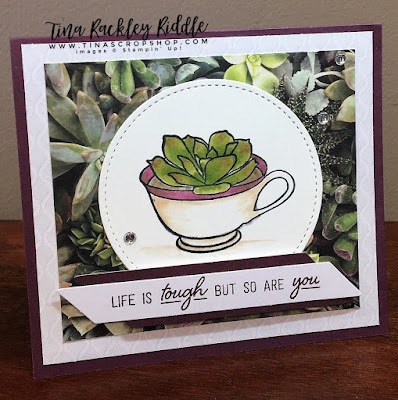 I can't say enough about that beautiful succulent in the cup stamp that came in the kit! Isn't this cup image amazing?? 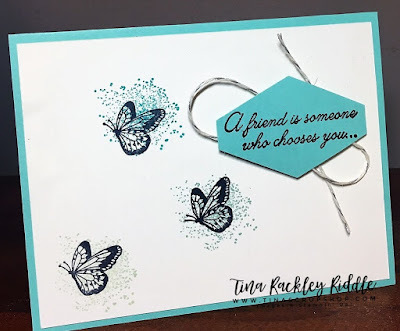 I stamped it in Memento Tuxedo Black Ink and used my Stampin' Blends to color it in! The patterned paper used on the above card was sooo pretty that I didn't want to take away from it. 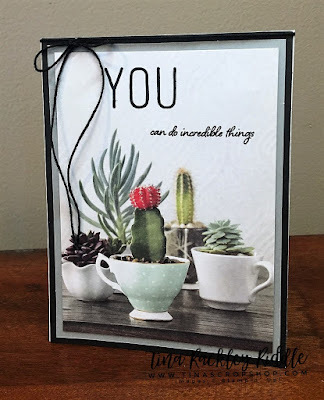 I added the "YOU" and "can do incredible things" from the kit stamp set in Memento Tuxedo Black ink and then restamped in Versamark and clear heat embossed it! Thanks goodness for my Stamparatus so that I could stamp with versamark in the exact same place! Hi and Happy Hump Day! 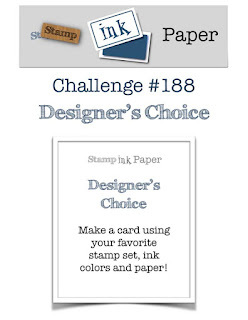 I'm over with The Paper Craft Crew for a #Simplestamping Theme Challenge! 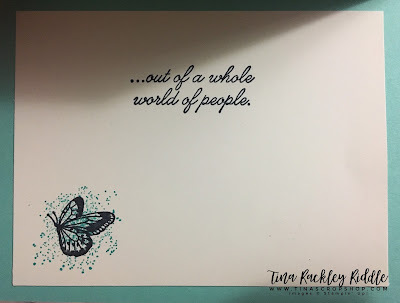 Simple Stamping is really a struggle for me but I did it and so can you! This was seriously one of the simplest cards I have made. I used my Beauty Abounds stamp set from Stampin' Up! 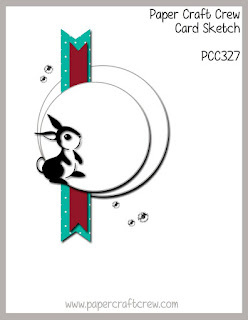 It has coordinating dies that are gorgeous but I only used the stamp set. I did use the Tailored Tag Punch for the sentiment... I think it's my favorite label punch! Hello and Happy Tuesday! I hope this week is starting off to be a good one. Did you have as much rain over the weekend as we did here in Middle Tennessee? There was a crazy lot of flooding in so many places that it was really just sad to see. I'm hoping that we can have quite a few dry days so we can all dry out! I spent most of the weekend in the house with the dogs. Well the good news today is that Stamp, Ink, Paper has a new Challenge and it's my all time favorite...... that's right... It's Designer's Choice. This week, I'm using my favorite new product.. Concord & 9th Floral Print Silhouette Bundle. 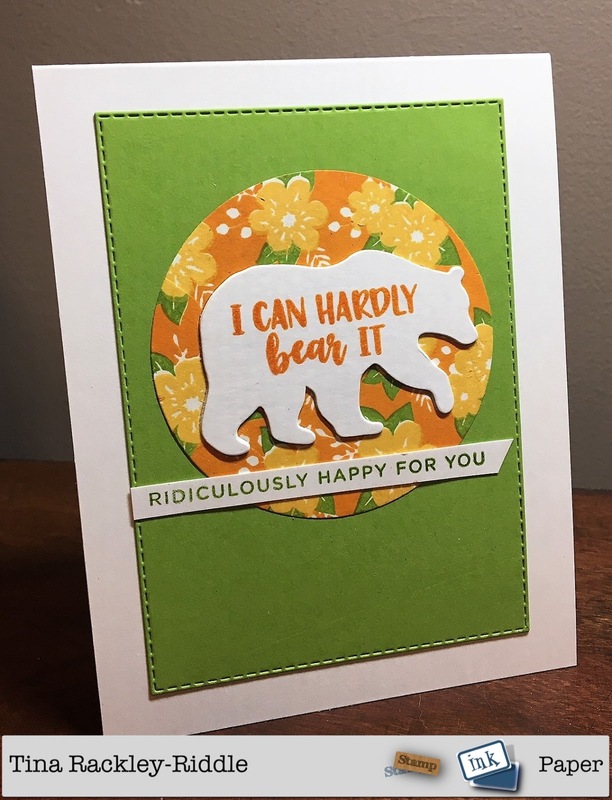 I made 10 cards with it on Sunday and could have kept going all night! The stamps are awesome and the dies and soooo cool! If you haven't seen the bundle, you should really head over to Concord & 9th and check it out. 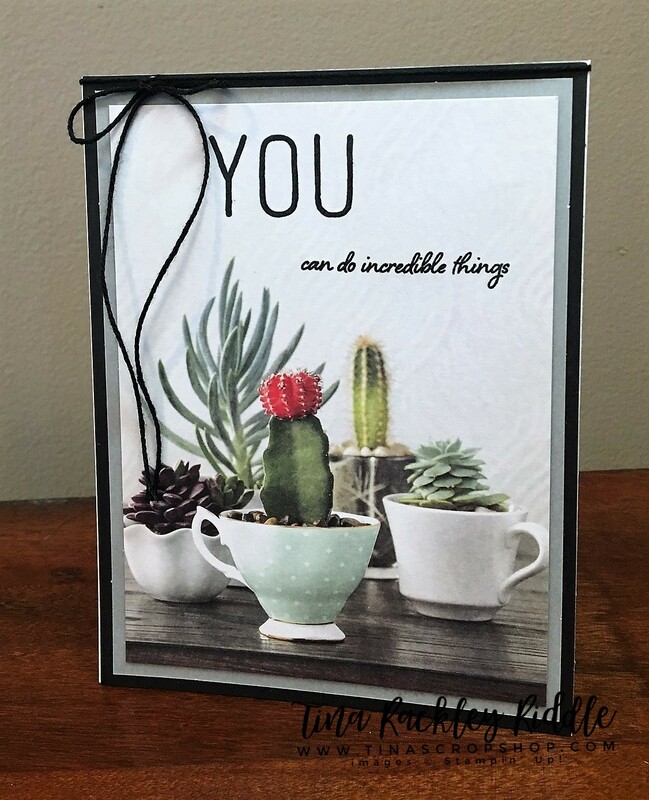 I also added a sentiment strip from the Simon Says Stamp Simple Sentiments II - You are Loved. It has some fabulous sentiments that I have not seen elsewhere! It was designed by Cathy Zielske. If you've never watched her on Youtube, you should really check her out! Happy Hump Day! We are half way through the work week! That's a super big YAY!! 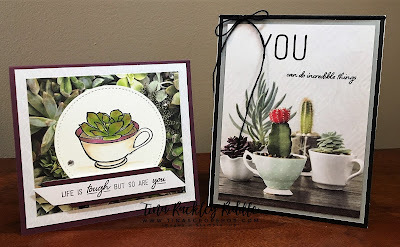 Since it is Wednesday, that of course means it's time for another Paper Craft Crew Challenge. This week's sketch was a fun one! Now I have to tell the absolute truth,,,,, This was the EASIEST card ever!!! Have you ever been late to a party? 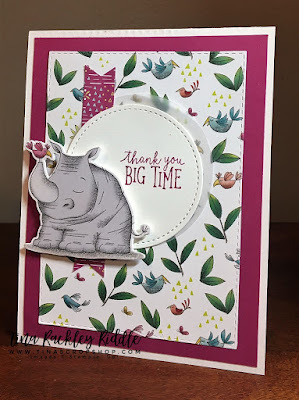 Well that's exactly how I feel about the Animal Outing Bundle by Stampin' Up! This was in the Stampin' Up! catalog that was released in June and I just now bought it! The reason this was sooooo super easy is that the coordinting Animal Friends Thinlits Dies cut out some of the animals in the Animal Expedition DSP! That adorable Elephant was cut from the DSP perfectly with the die! I also cout out a piece of Whisper White Cardstock with the same die to back it and add a little stability before I attached it to my cardfront with Dimensionals. I love it so much that I'm pretty sure I may buy some of that DSP!